TradeFW is a European CFD Forex broker that is licensed by CySEC. They opened for new investors in May 2018. TradeFW is owned by; Itrade Global (Cy) Ltd, which is located at 256 Makarios Avenue, 4th floor, 3105, Limassol, Cyprus. Their phone number is: +357 25 355 388 and their contact email address is support@TradeFW.com. Our review of Trade FW shows that they offer Forex CFD day traders and investors, the popular and user friendly MetaTrader4 (MT4) trading platform. They make available both the desktop MT4 software, along with the web-based and mobile apps. They offer in more than 170 underlying assets for trading CFD’s, including all popular Forex pairs and some Crypto Currency pairs like Bitcoin. Their leverage on all Forex pairs is up to 100:1, and spreads on the EURUSD start as high as 3.2 pips. Trading with leverage can be very risky, and new traders should make sure they fully understand the risks associated with using margin. 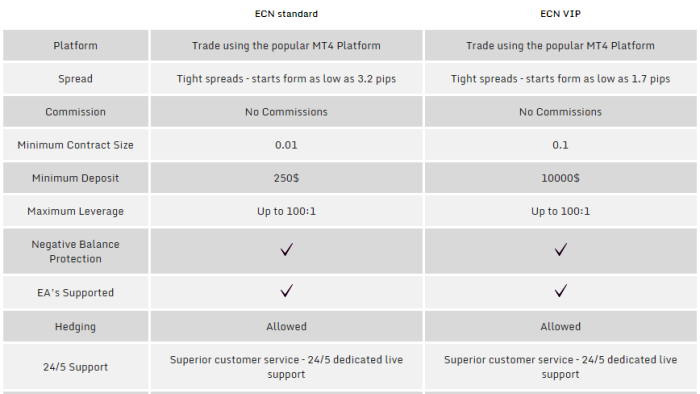 Account types start at $250 for a mini ECN trading account, and move up to $10,000 for an ECN VIP account, see here. Most investors at this broker are from Italy, Spain and the United Kingdom. Their website is localized and available in Italian, Spanish and English. Many Forex brokers today are connected with automated trading robots and signals software. You can research the various trading signals and software, see here. When the Scam Broker Investigator reviews a Forex CFD broker to determine if they are legit or a scam, we first look for a valid brokers license. In recent months, we have seen many scam brokers who did not have a licensed go out of business. The best brokers are always licensed by CySEC, ASIC or FCA. Smart investors will always use a licensed broker, because of the protection you are afforded from their financial regulator. European Union License: Cyprus Securities and Exchange Commission (CySEC) license number 298/16. Australia License: The broker is a Corporate Authorised Representative of Union Standard Int’l Group PTY LTD. The Australian Financial Services Licence number is 302792. 4Square Holdings Capital PTY LTD, Suite 2, Level 11, 10 Bridge Street, Sydney, Australia. ForTrade is a popular broker in Australia and Europe, that is licensed and authorised by the FCA and ASIC, see here. What was your experience investing with the brokers at TradeFW? Please share your review in the comment section below.